Jacqueline Harpman (1929–2012) was born in Etterbeek, Belgium. Her family moved to Casablanca to avoid persecution when the Nazis invaded, and returned home after the war. After studying French literature Harpman began training to be a doctor, but became unable to complete her medical studies after contracting tuberculosis. She turned to writing in 1954, and her first book was published in 1958. 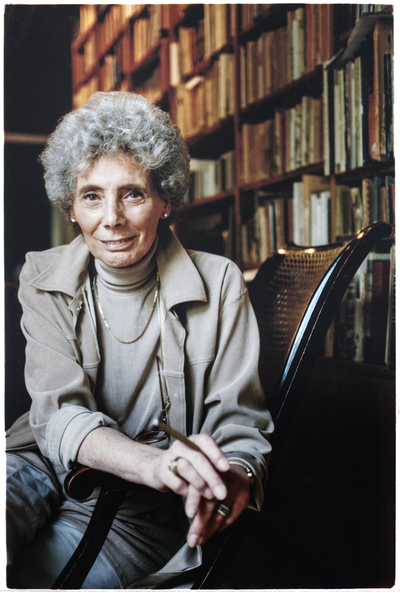 In 1980 Harpman qualified as a psychoanalyst and continued to practice throughout her life. She had given up writing after her fourth book was published in 1966, and resumed her career as a novelist only some twenty years later. Harpman wrote over 15 novels and won numerous literary prizes, including the Prix Médicis for Orlanda.